This is a card I made for my six year olds 1st grade teacher (click to enlarge the image of the card). 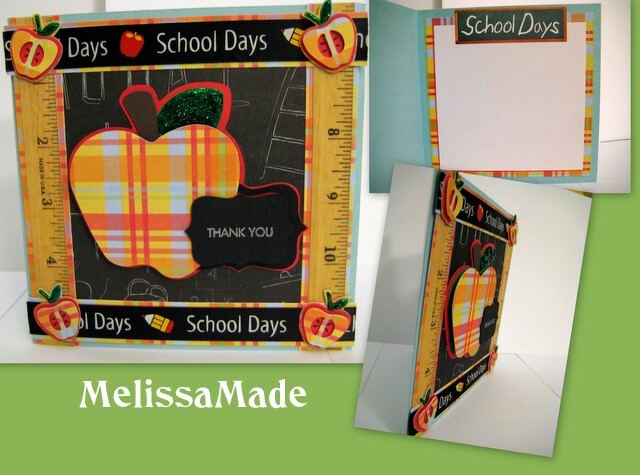 I made this card for the Jitterbuggin' Challenge hosted by Sherri. I had a difficult time with the black ribbon - it was much wider than I prefer and because of this I had to make my card a 5 1/2" x 5 1/2. Today I learned to LAYOUT my pieces on the card before any glueing or attaching! Know exactly how you want it to look first! 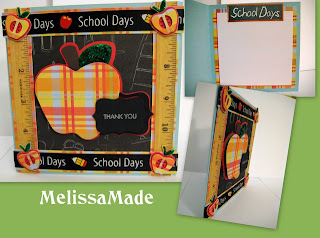 My sentiment was hidden initially behind the apple because I decided to stamp after everything was down...I had glued the main black piece behind the apple!!! Live and learn. Thanks for looking. Also check out the Jitterbuggin' Challenge! on Sherri's website! 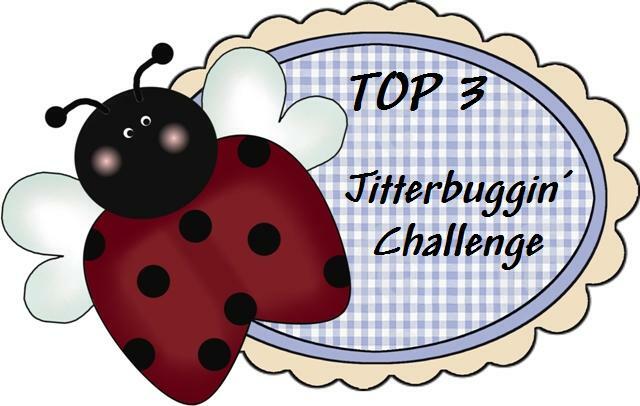 I am one of the top three for the Jitterbuggin' Challenge - check it out! The colors on this card are fantastic.... Your design rocks.